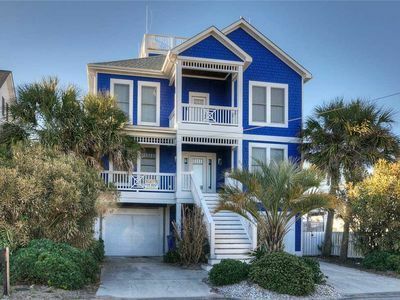 Enjoy Carolina Beach while staying at this magnificent 4 bedroom 4 bath duplex with all the amenities of home. 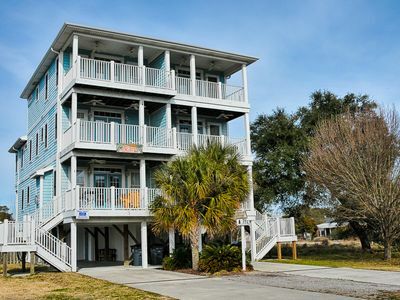 Sleeping ten people, we are centrally located in the middle of Pleasure Island, a few short steps and you are relaxing on the beach or enjoying lunch at the Tiki Bar. Pleasure Island has many wonderful attractions to keep everyone happy. 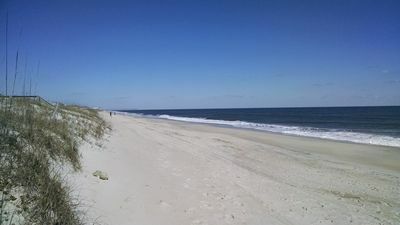 Activities including historic Fort Fisher Aquarium, sailing/boating, fishing,and shopping are some things offered. Great restaurants are located on the island for casual and fine dining. 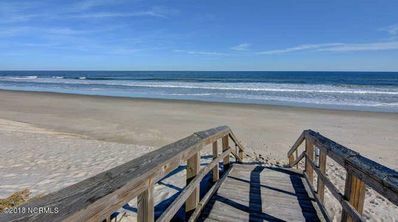 Or take a twenty -minute ride into Wilmington, NC and see what it has to offer. 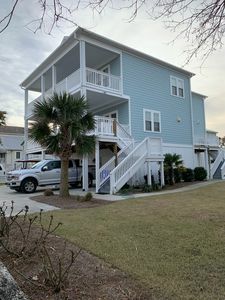 Entertainment, fine and casual dining at wonderful local restaurants, shopping and the new boardwalk are all within a short stroll in downtown Carolina Beach. 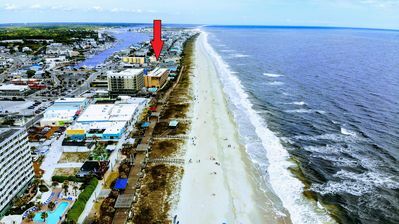 During the season , enjoy carnival rides at the boardwalk amusement park, play games at the arcades and watch the weekly Thursday night fireworks show from the boardwalk or beach. Visit the lake during the weekly Saturday morning farmers' market for fresh fare and on Sunday evenings to watch the outdoor movie. Free downtown actives also include weekly bingo and live concerts. And don't forget Brits Donuts, ranked number 2 in the United States and easily addictive. 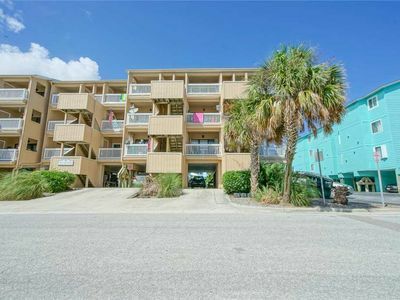 This Condo, spacious and comfortable is three stories with two outside decks. Our home is set up for family fun and includes games and books. Free high speed WIFI is provided for your convenience. 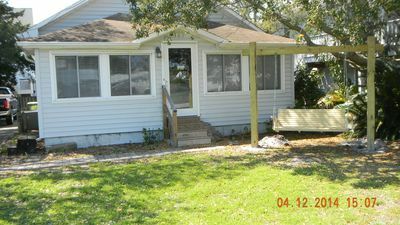 There are two large decks located with chairs and table for outdoor dining. 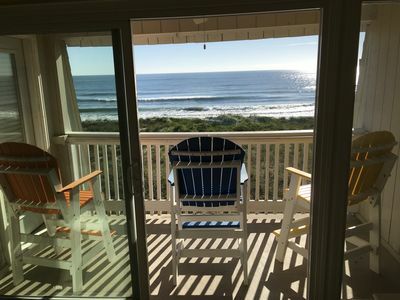 Enjoy an outside meal while listening to the ocean or and early cup of coffee as you watch the sunrise. 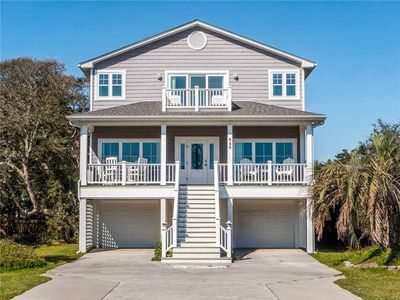 A grand welcome with palm trees and ocean breezes. The lower level has an outdoor entrance and outdoor private shower. 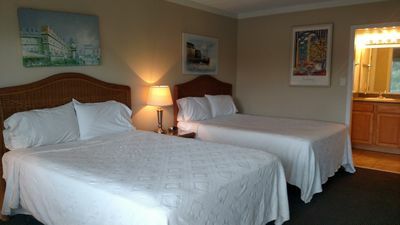 There is a large bedroom with a queen sized bed, tv and private bathroom. As you enter the main living area, you will find the comfort of home. 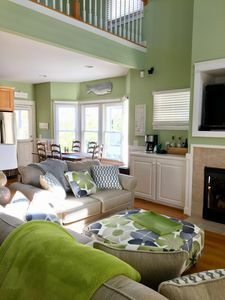 The living space is tastefully decorated and comfortably sits six. Watch movies or TV or listen to music on the large HDTV. Heed extra room for sleeping? The sofa makes a queen bed. Dinners are easy to prepare in the gourmet kitchen. The kitchen has granite countertops and stainless appliances. Whether preparing a decadent meal or throwing together a quick snack cooking is made easy in the kitchen fully equipped with all the modern utensils, cookware and gadgets. No need to worry about bringing items from your home. We supply the commercial pots, pans, dishes, glasses, and baking items that one can imagine. Family gathering at meal time is easy. The dining area comfortably seats 6 at the large table, with additional seating for four at bar and 4-6 at the table outside. 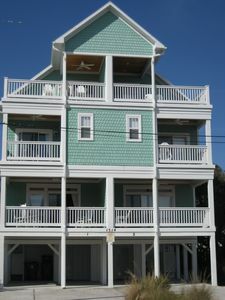 Also located on this main floor is a bedroom complete with queen size bed , TV and private bath. The top floor boast 2 additional bedrooms. The Master bedroom, with king size bed, large flat screen tv, has a large outdoor deck. Take an afternoon nap, have a glass of wine, enjoy the ocean breezes, watch the sunrise , read a book while relaxing on the outdoor sofa or prop your feet up while rocking in a chair. The master bedroom 's private sitting area allows you to escape for some time away. The master private bath has a walk in shower, and a double sink vanity. Along with the master bedroom, this floor also has an additional bedroom with queen size bed, TV and private bath. A full size washer and dryer are located on this floor for our guests convenience. For your convenience, Serendipity, also provides linens, bath towels, hand towels, bath cloths. We also provide a starter kit of paper towels, toilet paper, dishwasher supplies, dish detergent, and trash bags. 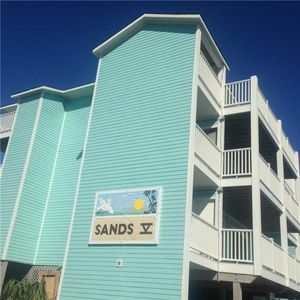 Serendipity a home for relaxing, ocean breezes and wonderful memories! Please enjoy our home away from home. 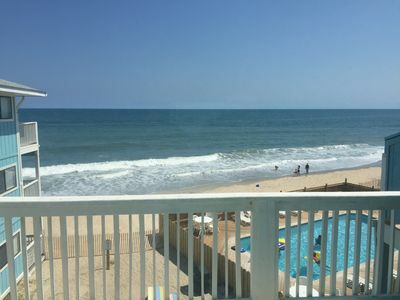 Luxury Oceanfront Condo - Summer 2019 available! Beautiful!! 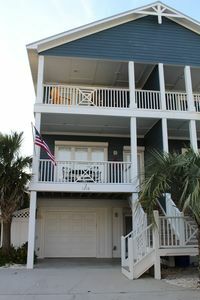 2nd Row Beach House! 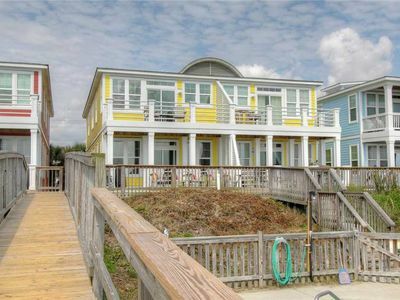 Beach Harbour @ The Boardwalk - Walk to beach, boats, boardwalk, drink & dine. 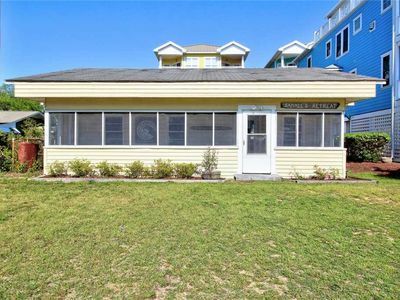 Private Beach entry with restroom and tiki bar minutes away! 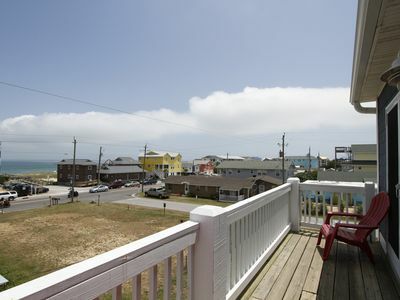 Sea Schaack Beach retreat!! You can smell the Ocean!! 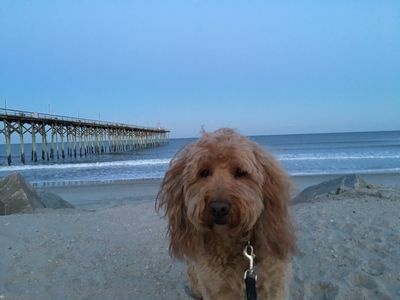 Sammie's Retreat: A Beautiful Pet Friendly Home with 3 Bedrooms in Carolina Beach. Newly renovated cottage mins from the beaches and downtown.